I lied! Yes, I admit it, I told an untruth. Do you remember my blog post from a few weeks ago saying that Spring was here to stay? Turns out that was a big, FAT, LIE! I believe it was just a week and a half ago that it was actually so warm that one of my boys suggested we needed to run the A/C. Now we are back in a deep freeze and I actually wore my winter coat this morning! It looks deceivingly nice out…the sun has been shining and the trees are starting to leaf out, but the wind is nasty and the temperatures are downright cruel ( for April~ in the NorthEast~close to the Atlantic!) I needed to run my nice little red fireplace while I was sewing. That, and a nice cup of tea, are the perfect remedy against all this blustery weather! Okay, enough whining about the weather! What have you all been up to this past week? Anything creative and fun you want to share?? I have not had a whole lot of creative time this past week ( busy working in the yard, readying it for SPRING! ), but did get to work on Bloom blocks #11 and # 12! The quilt is coming together so nicely and I just love the happy colors! Only two more rows to go and it will be finished. I am also excited that it will pretty much be done when the sew -along ends, because I am quilting-as-I-go! 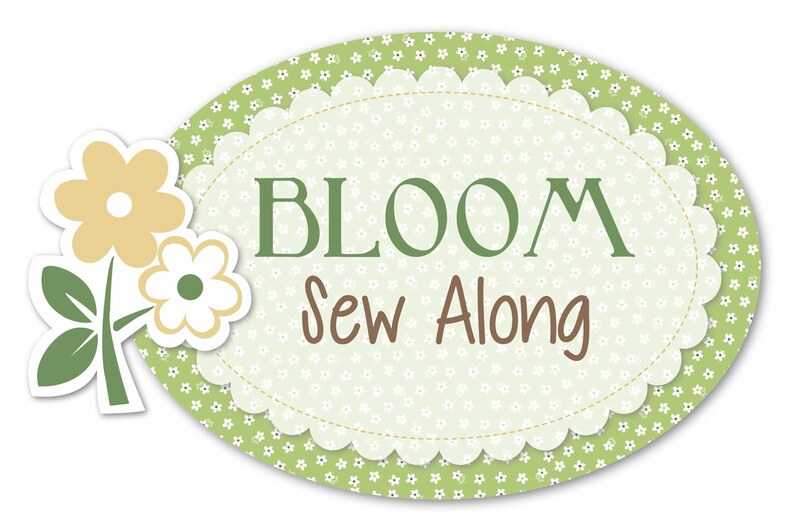 I followed another sew along last year with Lori Holt, called Farm Girl Vintage. I loved that one just as much and made a whole bunch of 12 inch blocks to put together into a wonderful quilt. Problem was that I did NOT quilt the blocks right away and now I have a pile of blocks waiting for me to give them some much-needed attention. I really should get to it! The problem is that I get distracted by other things that I want to do also…..sigh. I did decide to get creative with my Bloom templates this past weekend and started a sweet little table runner. I just used my scraps and some toweling material and I really like how it is looking so far. I was actually thinking that it might make a nice gift for Mother’s Day too….hmmmm. I decided to piece the backing because my runner was just a teensy bit longer than the width of my fabric. First time ever doing that. I think I like the look, but mostly I am glad I was able to use up another scrap! I also went ahead and ordered Lori’s second set of templates called Cozy Christmas. 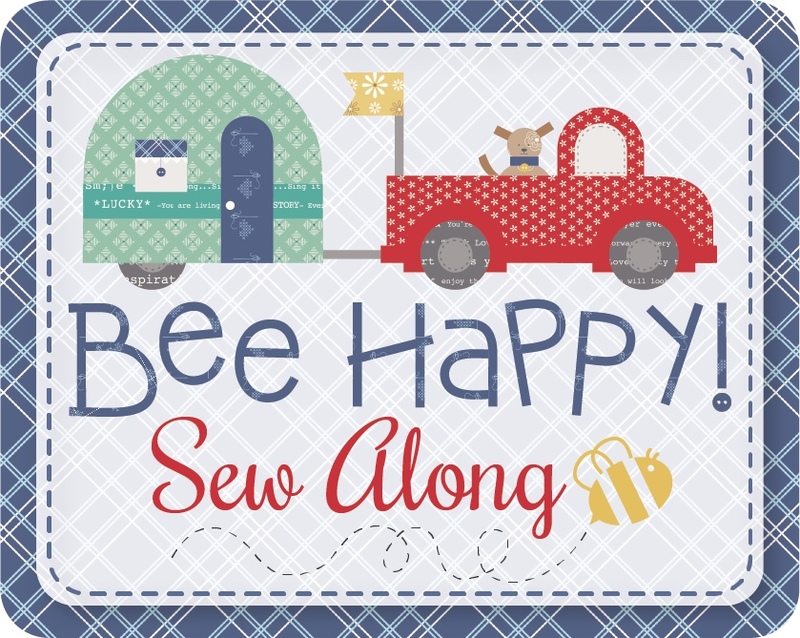 That sew- along is supposed to start in August and I can’t wait! ( Did you see that cute gingerman shape??) The quilt looks adorable and I of course will be using the fabric in my stash to make it! One other item I got to was the trimming and construction of the binding for my sweet little Posies quilt. It’s about time that that one gets finished and put to use! Wow, a lot of photos in this post and I have to share just a few more:On the weekend we visited a new- to- us antique shop and I found these darling little homes, appropriately called “saggy houses”. I thought they were so whimsical and fun and had to bring them home! Aren’t they the cutest? Have a great rest of the week and I hope YOUR weather is being more cooperative than ours! Our weather is fickle too. One day it is warm and the next it is cool and windy. We don’t get much snow here so at least that isn’t part of the changes. I enjoyed looking at all of your projects. I love the fabrics and cheerful colors you use in all of them. Have a great weekend. Love all your work, and the table runner, I would never have thought of tea towels, but it looks awesome. Thanks for sharing.